Grocery shoppers typically fall into two categories. Fans of food shopping get giddy at the mere sound of shopping cart wheels on tile floors and perceive each aisle in the store as a treasure chest of new and exciting options. On the opposite end of the spectrum are those who dislike grocery shopping, the people you see scowling as they toss random items into their cart until they have enough food to get them through the rest of the week. If you’re a food shopping enthusiast, you’ll relish the idea of perusing departments and assessing the store and service as a grocery store mystery shopper. And if you find food shopping a chore, you might find the task less tedious once you learn more about what’s available and get paid for your efforts. Most grocery store mystery shopping assignments are at large food retailers with many departments. A typical report requires assessment of up to three departments. These sections commonly change each month and you must evaluate those specified, although you can do personal shopping while you’re gathering information for your report. Typical departments on evaluations include produce, seafood, meat, health and beauty, specialty items, bakery, and prepared foods. Grocery store mystery shopping clients are as interested in how their stores look and feel as they are in providing exemplary customer service. They know that shoppers who are comfortable in their environment will stay in the store longer and usually spend more money. 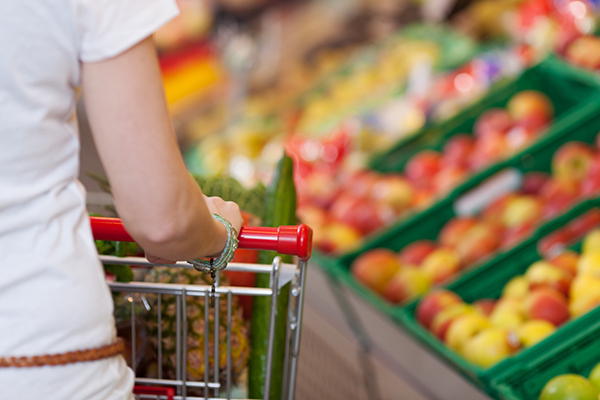 Grocery store evaluations often include questions on store temperature, the type and volume of music playing, and other ambiance factors such as smells and ease of navigation through the aisles. You’ll also probably be asked to evaluate the restroom, parking lot, sidewalks, landscaping, store floors and café tables. Although you may be tempted to print out your report and take it with you to the store, resist the urge. While it’s true you can discreetly look at it as you browse your shopping list, there’s always a chance someone could crash into your cart and the report would be revealed. It’s much safer to slyly take notes, as you would with other types of shops, and you can make reference remarks before the shop to make sure you cover all the bases. Give yourself plenty of time in the store and be sure to note the hours you must shop. If the shop time is scheduled during normally busy hours (5 pm to 6 pm, for example), prepare yourself for long lines. Wear comfortable shoes and clothes; that doesn’t mean bedroom slippers and pajama bottoms, just casual attire. Act natural and pose your questions in a believable way. For instance, a good deli scenario is you’re packing a picnic lunch or having a few people over to watch football and need to know how much ham and cheese you’ll need for sandwiches. Don’t strain to read name tags; a detailed physical description works just as well on a report and won’t compromise your identity. Be friendly but professional, and give associates ample opportunity to shine. RBG has lots of grocery store mystery shopping opportunities throughout the United States and Canada. Add one to your job roster and turn your next food shopping trip into an adventure you get paid for embarking upon.